Food Safety Modernization Act compliance is in effect. At Feed Products & Service Company, we're ready. Supporting the industry’s commitment to Safe Feed/Safe Food and the Food Safety Modernization Act is a company-wide global commitment. Product range, global reach and world-class service set us apart as a single source supplier for leading animal feed producers. Our vendor relationships span 20, 50 and even 60 years, and are key to our customers’ assurance that they will have access to the ingredients they need when they need them, at the best available price. These strengths have made Feed Products a valued partner for a broad range of participants in the feed products industry, including major animal feed producers, local feed stores, large livestock farms and companion animal food companies. Feed Products stocks sodium bicarbonate, magnesium oxide, feed phosphates, amino acids, and urea along with other important feed ingredients such as BioCalf-FOS, copper sulfate, potassium carbonate, by pass fat, potassium chloride, choline chloride, and feed salt. We're committed to providing excellent, cost-effective products, services and solutions. Our infrastructure of plants and warehouses provide more than 500,000 square feet of bulk and bag storage. In addition to long-standing relationships with transportation specialists, our growing fleet of company owned tractor trailers and our own private rail fleet of more than 100 hopper cars allow us to expedite orders and provide the highest level of customer service. Animal feed manufacturers, pet food manufacturers, distributors and integrated swine, dairy, and poultry companies are all part of our diverse customer base. Our goal is to help customers achieve their business goals, including obtaining raw materials for their products at the most competitive prices in the market. Our staff members are experienced and knowledgeable problem-solvers. Customers benefit not only from their detailed understanding of product properties but also their familiarity with distribution methods. As a result, orders arrive as expected, when expected. Since 1986, when Greg Fallin became chief executive officer at FP&S, the company has made the transition from a sales agency to a full-line distributor with a strategic warehouse system and integrated river, road and rail shipping network. 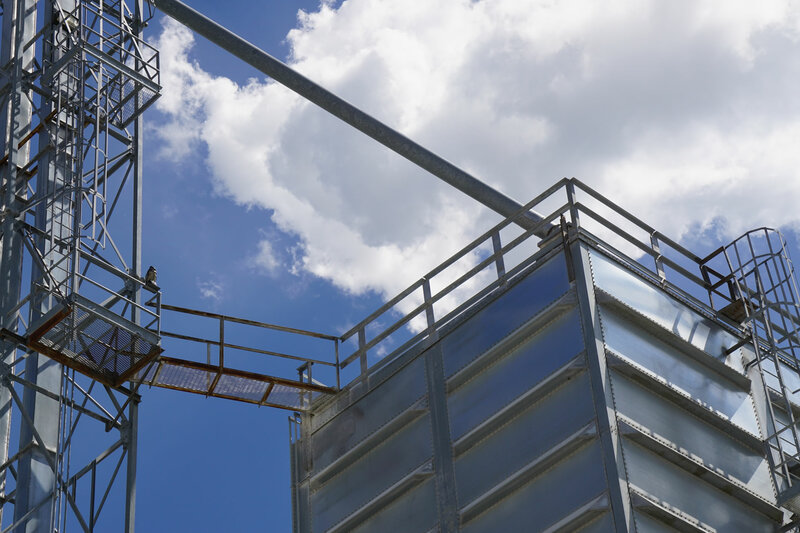 It has turned industry trends like feed company consolidation, greater demand for efficiency in the animal agriculture supply chain and automated processes into growth opportunities. The FP&S story is one of steady progress, built on the defining principle of value-added customer service. That business model has led to development of distinct capabilities in material handling, transloading, warehousing, packaging and blending and container expediting and brokerage. Customers can depend on FP&S for reliable on-time delivery because we control distribution from the time the product is sourced until the order is completed. Our infrastructure stretches from ocean shipping arrangements to rivers, roads and rail systems in North America. With this reach we seek out the most cost-effective shipping routes and pass those savings along to customers in the form of competitive pricing. When customers’ timetables call for accelerated delivery or special shipping instructions, we are able to accommodate those needs because we have strong and long-standing relationships with logistic companies. Whether the customer needs one pallet of a particular feed ingredient or a rail car’s worth … whether the delivery arrives by barge, train or truck … whether the raw material originated in the United States or halfway around the world … FP&S remains committed to meeting the customer’s need at the most competitive price.